This is project SEA THE STARS, an 80 metre (262 ft) expedition yacht engineered to brave the farthest reaches of the ocean. Her classic lines emphasise an uncompromisingly practical nature in her amenities and abilities, while maintaining a planted and steadfast presence in any scene. Furthermore, her design ensures that her form will never become tired or dated. SEA THE STARS is to be constructed at Columbus Yachts flagship shipyard in Naples to Ice Class with the naval expertise of parent company Palumbo. Only the best craftsmen and engineers form a young and perceptive team that can respond to changes in style or owners tastes with ease. 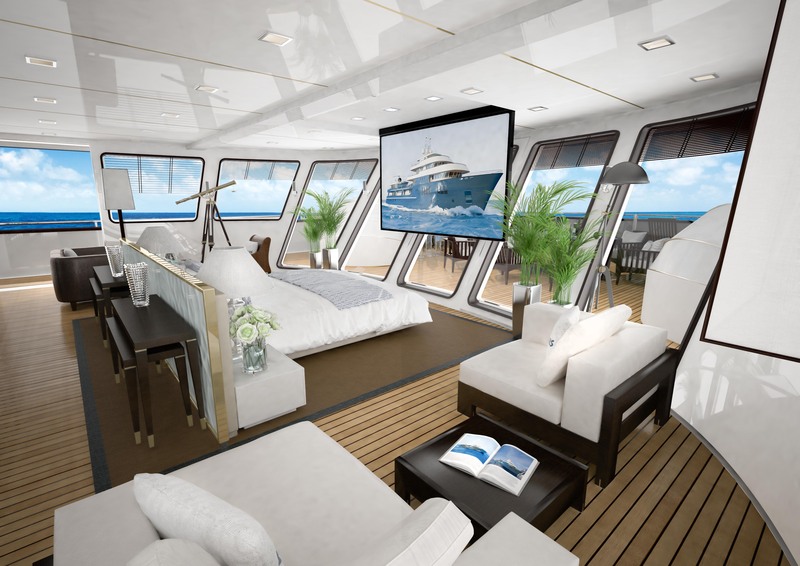 The use of cutting-edge fabrication techniques allows for a variety of layout options which her owner might desire on her inner or outer decks, while in keeping of the shipyards unrelenting standards of quality. 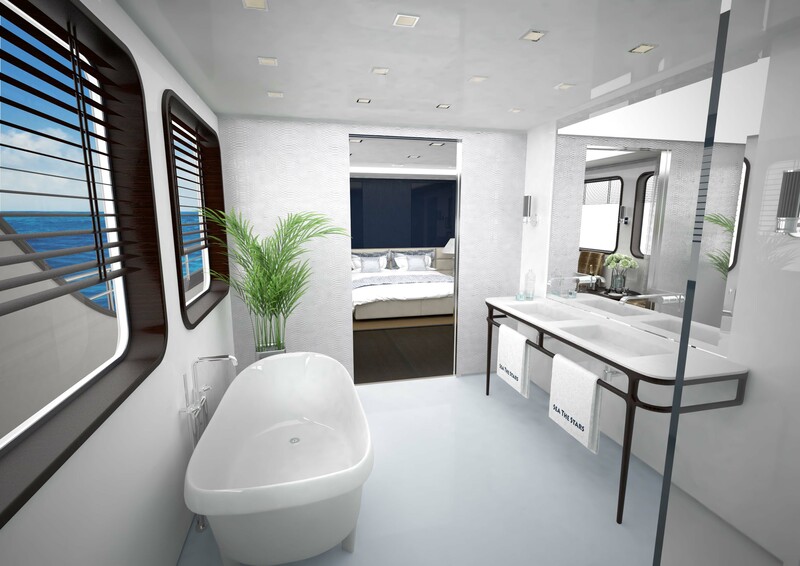 Powered by two 1800 kilowatt Azipod diesel-electric engines, SEA THE STARS will have more than 7,000 nautical miles of near silent cruising at twelve knots. Electric motors ensure a vibration and noise free crossing through any sea. Two pairs of dual-purpose (zero speed and under-way) stabilising fins counteract the largest swells and undertows that could be encountered on her travels. After boarding, guests are met with a three level summer house, complete with a sunlit glass spiral staircase connecting the beach club with the main deck. 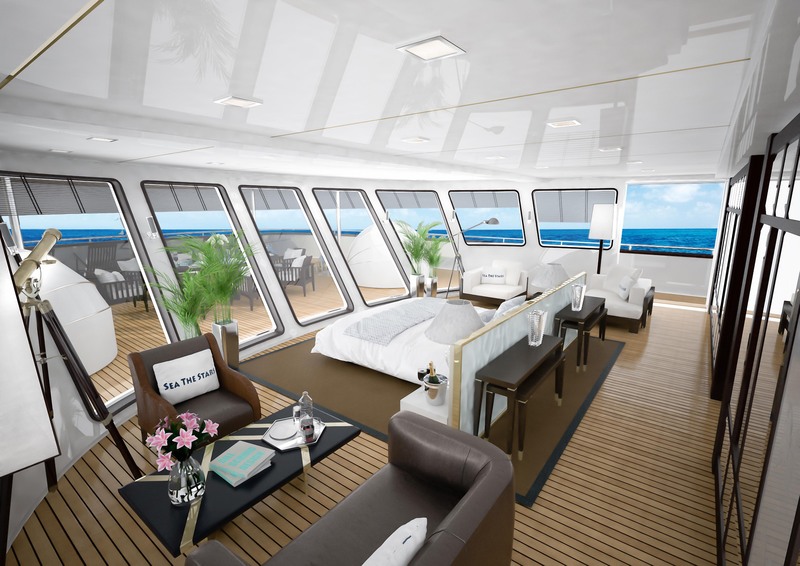 A guest lounge, informal dining, a show galley are features that are planned to be implemented along with anything the owner desires and, all encircled by ceiling-high windows. SEA THE STARS fly deck has more than 155 square metres (1668 sq ft) of blank canvas for her owner to put into use as he best wishes. A raised jacuzzi, sky bar or casual club are all potential features. Below, the owners deck offers true panoramas of the vessels whereabouts; be it the silence of the arctic or the azure water of Seychelles. Versatility on this deck is available and encouraged and Gill Schmid Design would be only too happy to discuss options with and provide solutions to a new owner. 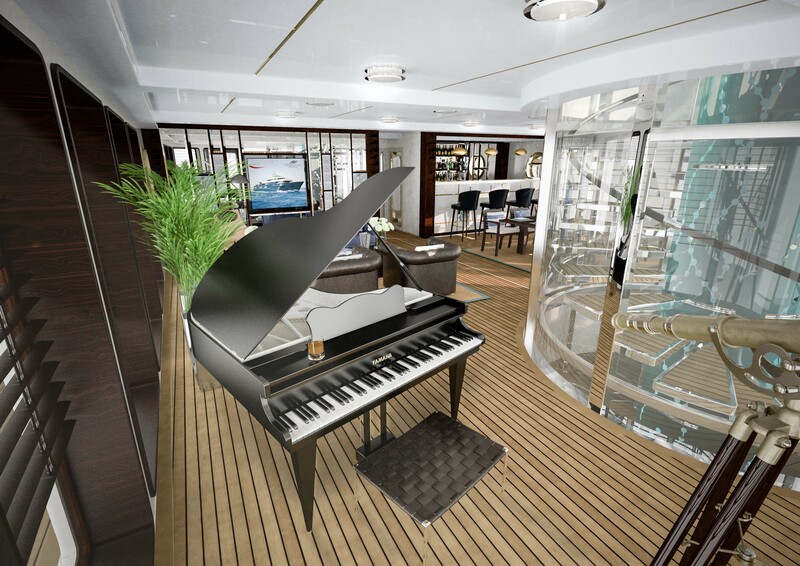 The bridge deck serves as the vessels main lounging space, flanked by the formal dining area and library. 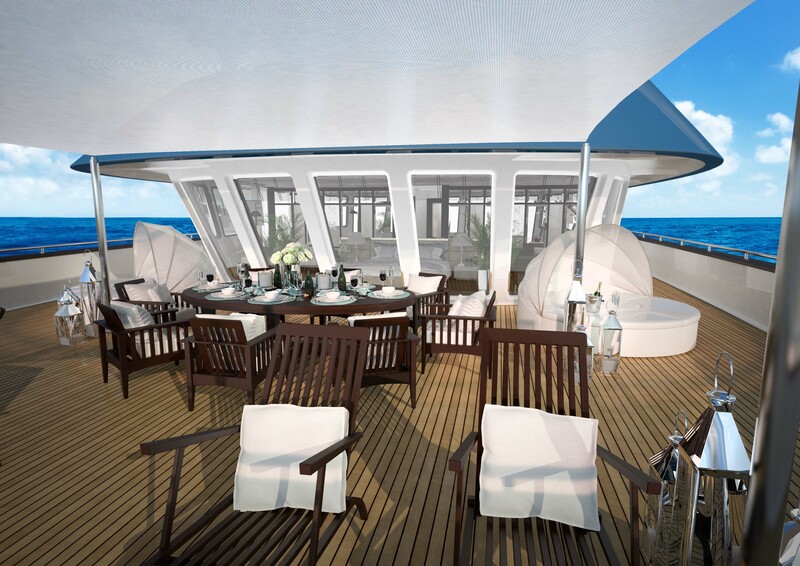 Outside, the deck can accommodate two 30 foot tenders beside a raised swimming pool. 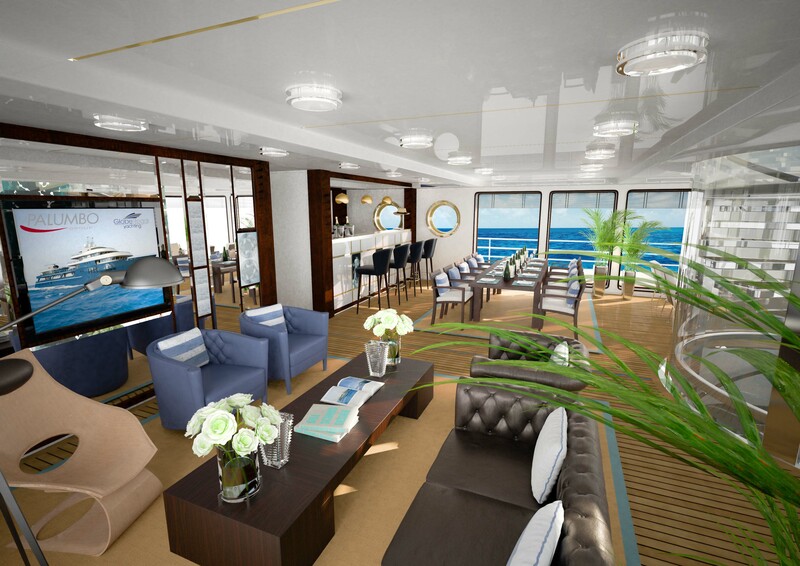 SEA THE STARS will sleep 12 guests in six spacious suites on the main deck. 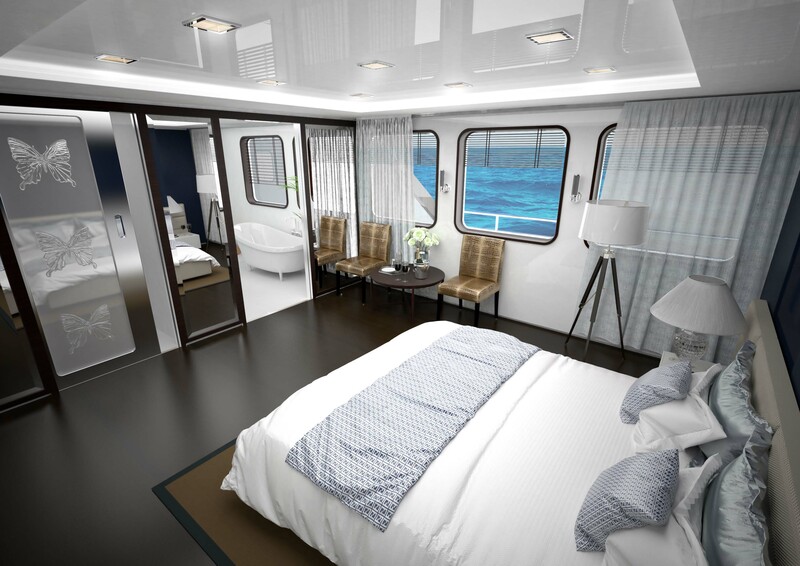 All of the passenger cabins feature full width windows and walk-in wardrobes, and have en-suite bathrooms. Outdoor deck space is capacious, floored in teak while affording panoramic views from any point of the yacht. A total of 1005 square metres (10817 sq ft) constitutes the exterior lounging space on SEA THE STARS, which the owner can turn into anything from alfresco dining to outdoor lounging. 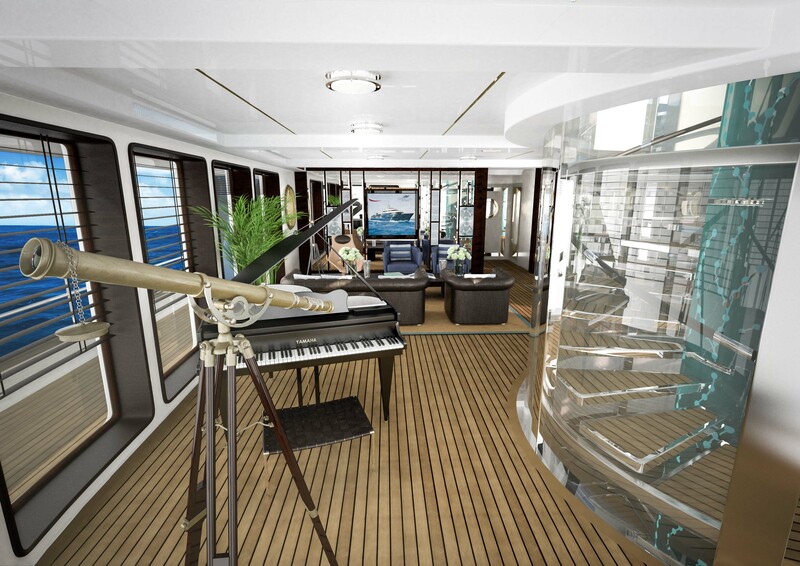 Inside living space is also generous; 510 square metres (5490 sq ft) across three decks affords room for amenities not normally seen on similar yachts. A dedicated cinema salon, games room and gym are all simply possibilities for her owner to consider. The lower deck features an unrivalled beach club. Her port and starboard sides fold down to create more than 30 square metres (323 sq ft) of chalet or cabana at her owners discretion. Facilities such as a closed sauna and guest gym can be implemented easily - just say the word. The space could also be adapted into a fully equipped spa, nightclub or an additional tender garage. SEA THE STARS has strength and purpose written into every line, angle and function of an assertive yacht that never compromises.